The Cushion or the World? I’ve observed this disagreement in the Zen centers of America. The traditionalists – including me at one time – follow a rather strict and orthodox regimen of zazen, enter the zendo each morning just before 5:30, often in robes, make appropriate bows, sit two periods with intervening walking meditation, chant, often in Sino-Japanese, perform silent temple cleaning, then go off mindfully to work. 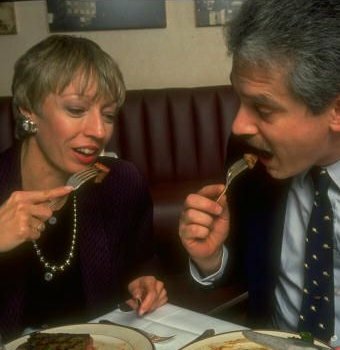 The modernists are more likely to arrive evenings or on weekends, already chatting, for seminars, classes and group discussions about family relations, mental health, dancing, job performance, creativity, sexuality, parenting, and so on. The latter group sometimes experiences a facilitated kensho experience in a comfortable discursive group setting, sometimes to the alarm of the former. On the traditionalist side, Goldstein laments that the singular goal of liberation from suffering is displaced in modernism by more humanistic concerns. As Gleig quotes him, “I see a tendency to let go of that goal and become satisfied with something less: doing good in the world, having more harmonious relationships, seeking a happier life. That’s all beautiful but in my view it misses the essential point. ” In fact, taking this a step further, Kornfield’s expression “embodied enlightenment” would seem to redefine the goal of enlightenment, from something that requires renunciation of the everyday world, to something that affirms everyday life and makes it relevant to contemporary Westerners. This disagreement gets scrappier than this. Prothero (2001) writes (albeit as an informed outsider to Buddhism), “What seems to be lost on the new Buddhists [on “Boomer Buddhism”] … is the possibility that it may be America’s destiny not to make Buddhism perfect but to make it banal.” and “Instead of preserving Buddhism, Americans seem intent on co-opting and commercializing it, dissolving a religion deeply suspicious of the self into an engine of self-absorption.” Prothero concludes that it is the still small but dedicated Western monastic community, whose teachings and writings are all but ignored, that deserves center stage as the guardians of authenticity. In fact, the American monk Thanissaro Bhikkhu, whom Prothero refers to as a shining example, has argued that Buddhist modernists represent European Romanticism as much as they represent Buddhism (2002). More exhaustively, McMahan (2008) attributes much of Modernism to the incursion of Protestant Christianity, scientific rationalism and psychoanalysis as well as Romanticism. On the modernist side, many point out that Western Buddhists are primarily laypeople, who have jobs, relations, families and endless responsibilities, who like to go to parties, flirt and enjoy sensual pleasures. Meditation is fine, insofar as one has the time, and one does not need to give up altogether the essential point, the aspiration for the higher attainments that meditation secures. One just needs a wider path. We cannot all be monks. One needs practices and advice that one can make use of in the world and off the cushion, something more directly relevant to one’s life. Moreover, Buddhism has always adapted to new cultural circumstances. Zen, for instance, is a product of blending Buddhism with indigenous Taoism in China. The reshaping of Buddhism to Western needs and predilections is an inevitability, in fact, it’s a right. It seems that we in the West are stuck with two alternatives: a traditional Buddhism, narrow and austere, but authentic, and a modern Buddhism, wide and welcoming, but adulterated. The choice seems to be between a time-honored Buddhism on the cushion and a dubious Buddhism in the world. Which way do we go? If we step back we will find, in fact, that we have boxed ourselves into two viable but deficient alternatives, naively and needlessly. To fully evaluate the two alternatives – cushion or world –, we need to step back, to take in a broader perspective of just what Buddhism is than we are used to in the West, a perspective that has been poorly communicated by our Asian teachers, probably precisely because it is as implicit and ubiquitous as air in the Buddhist cultures of Asia. What we will discover is that Buddhism is, and has always been, a much wider umbrella than we tend to envision, broad enough to take in both cushion and world as viable and useful options. Stepping back gives us the sasana perspective that I describe in more detail in a recent on-line book, Sasana: the blossoming the Dharma (Cintita, 2013). I will be brief here. What is interesting about the sasana, for our purposes, is that has fairly consistently had a certain physiology, that its structure is unique, that it was propounded in every detail in the early teachings of the Buddha, that it has preserved this physiology with remarkable resilience through a hundred generations of Buddhist history, and that it has, at the same time, been exceedingly malleable in adapting to new circumstances, particularly to new cultures. It is a living organism that knows how to self-regulate, to adapt, to propagate and to brighten any landscape with its civilizing influence. A healthy Sasana forms a culture of awakening. Most readers will probably be unfamiliar with these statements about sasana, and for three reasons: First, Westerners generally approach Buddhism from the perspective of the lone spiritual seeker, the “spiritual but not religious,” and give inadequate attention to the community or institutional structures that have preserved it. Second, the monastic order is still weak, and so its various roles in holding the shape of the sasana go under-appreciated. Third – this follows from the first two –, the traditional sasana is poorly instantiated in Western Buddhist communities, and therefore our members encounter few if any living examples of a healthy sasana first-hand. The sasana perspective is the understanding of resources and roles available or performed in a Buddhist community, and is the perspective that those born into Buddhist communities are first aware of, long before they consider, if they ever do, dedicating themselves wholeheartedly to the Buddhist path. The perspective that dominates Western Buddhism is, essentially, the Eightfold Noble Path. The sasana includes the path perspective, because the path, the inspiration to pursue the path and the guidance and even material support for pursuing the path, are all available as resources in a healthy Buddhist community. The inspiration and guidance both come by way of the Triple Gem, that is, from the Buddha, the original teacher, from the Dhamma, the teachings that lead to the extremely singular attainment of awakening, and from the Sangha, the noble ones, or sages, among us that have succeeded in following the path themselves to reach at a minimum the first level of awakening (often called stream entry). The presence of noble ones is particularly important in a culture of awakening and so the Sasana provides institutional support those of highest aspiration who might one day become noble ones. This institutional support is the monastic order, which can be viewed as a kind of school that produces noble ones from among its ranks, much as a university is a school that produces scholars. The opportunity for monastic training is a gift from the members of the community to those of high aspiration. The stem that supports the blossom is the Path, which leads to Awakening. The leaves and roots are the the Buddhist community. The roots are specifically the monastic order (also known as the monastic or institutional sangha, as distinct from the noble sangha). The leaves and roots collect nourishment of sun, water and soil in order that the flower thrive. This is the function of refuge in the Triple Gem. The blossom of the flower is awakening. 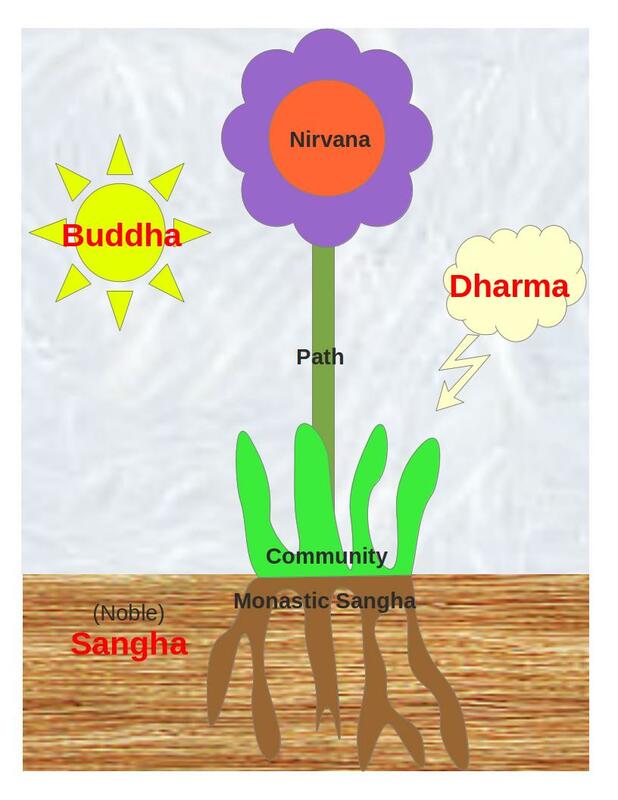 The sun, water and soil that nourish the flower are the Triple Gem, respectively the Buddha, the Dharma, and the Sangha. They inspire and bend the mind toward wholesome development. The dominant operating principles of the sasana are those of the Vinaya (monastic code), generosity, refuge in the Triple Gem and friendship. The Vinaya defines the conduct of the monastic, and thereby gives rise to the symbiotic relationship with the laity that arises as the latter responds to its presence in a spirit of generosity. The Vinaya also defines a context of renunciation that is optimal for progress on the path, from which most noble ones emerge. It is the role of the most adept in this scheme, particularly the noble ones, to understand and preserve the subtle and sophisticated Dharma within the community in its full integrity for future generations. Refuge is critical in that it opens the heart to the three trustworthy sources of knowledge, training and inspiration in understanding and practice. Notice how the monastic institution is a lynchpin of the sasana: It is the role of the monastic order to produce noble ones. The monastic order provides the optimal opportunity to develop on the path and to live as a noble one or an aspiring noble one in accordance with the Dharma. The monastic order enters into a symbiotic relationship with the lay community that infuses generosity into the Sasana as its lifeblood. The monastic order provides a locus of training, practice and knowledge that ensures that the Dharma will burn bright for future generations. This explains why the Buddha gave so much attention to the Vinaya, the code of monastic discipline, and referred to the body of his teachings, not simply as the Dharma, but as the Dharma-Vinaya. The health of the sasana has traditionally been equated with the health of its monastic order. By way of example, consider anecdotally the case of Bo Bo, a typical young man born into a typical Buddhist family in a typical Buddhist land. The sasana had been his first view of Buddhism: He had been taught, even as an impish toddler, to take refuge in the Triple Gem, the nutriments of Buddhist practice and understanding. The Buddha, for the youthful Bo Bo, had exemplified certain values such as selflessness, virtue and serenity, and the Dharma had been accessible primarily through a few aphorisms like “Happiness comes only from within” and “generosity creates great merit,” and maybe from hearing some stories of the previous lives of the Buddha. The Sangha of noble ones, with whom he had been in almost daily contact, had provided living examples of what it is to live deeply according to Buddhist principles, and of the joy and wisdom that emerges in such a life. Bo Bo had lived as a part of the Buddhist community, devoutly supportive of the monks and nuns, and generally practicing generosity and virtue in an uplifting environment. 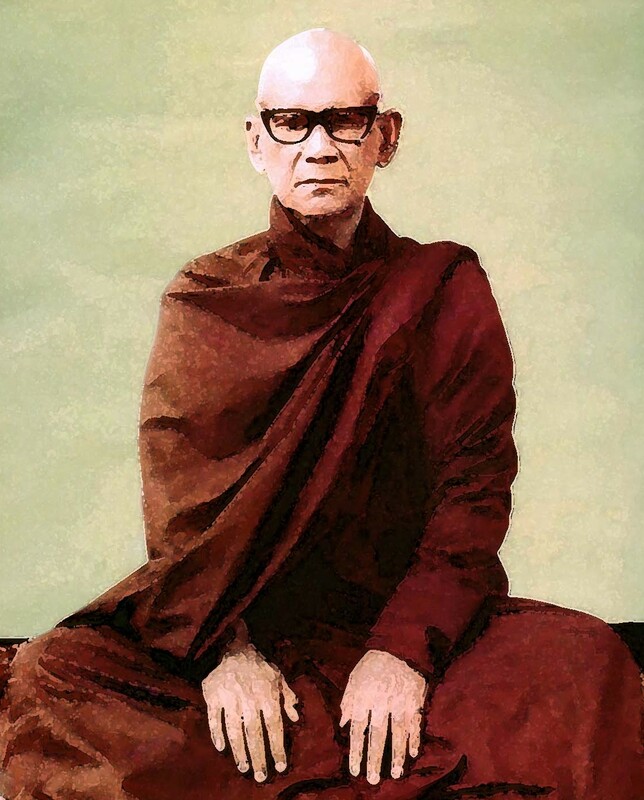 His generosity had focused on supporting the Sangha, which in turn had guided the community dharmically and taken care of its pastoral needs, but had effortlessly spread beyond that relationship as a part of the lifeblood of a very caring community. He had, in short, grown up with a mind bent toward Buddhist values and Buddhist aspirations in a culture of awakening, primed for devoting himself to the path toward awakening, should he so choose. As he got older, Bo Bo noticed that people in his community adopted any of a wide variety of ways of life. He himself for a time thought of marrying his cute neighbor, Yum Yum, and of raising a family, but he was also reminded by the contrasting example of the monks what an entangling problem life can be. He noticed that the noble ones were far more content and full of active goodwill than anyone else, in spite of their utterly simple renunciate needs. After struggling with life’s vicissitudes for a number of years and contemplating the nature of suffering, Bo Bo’s understanding progressed to the point that conventional life no longer made much sense. And so, Bo Bo joined the monastic order, already fully prepared with a grateful and generous heart, trusting in the Buddhist path and supported and encouraged by a generous community. He began to study as the student of one of the neighborhood sages, and on that basis began to ascend the Path. Eventually he became one of the noble Ones himself, and found himself beginning to make an ennobling difference in the lives of others. With time and determination his practice blossomed one day into the fruit of full awakening. Now, historically the sasana has preserved this system of roles, relationships and functions astonishingly well. Buddhism has, for instance, never established itself in a new land without its monastic order, and this order, in fact, counts as perhaps the oldest defined human institution on the planet, and one that would still be recognized by the Buddha, after one hundred generations, as his monastic order. The opportunity for awakening, the presence and veneration of noble ones and the lifeblood of generosity, have characterized Buddhist communities throughout Asia. At the same time the sasana has been remarkably malleable, accommodating a range of understandings and practices and adapting to a variety of folk cultures. Limits on the malleability of the sasana are constrained by this physiology. But notice that this physiology is oriented toward a culture of awakening, defined by a singular goal that relatively few attain, and toward preserving the Dharma, a sophisticated and radical system of understanding and practice that relatively few master. The demographics of the sasana is democratic in that each member is given the same opportunities for study and practice, but not fully democratic in that its members will inevitably differ in accepting that opportunity, in attainment, practices and understanding, in interest and commitment, in time and energy put into study and practice. Since the benchmark attainment is awakening, what do those of less aspiration or opportunity expect to attain and what practices to they pursue to do it? This is not so clearly fixed and has been answered in a great many ways, and, in fact, this is the primary locus of Buddhist malleability. In effect, in any healthy Sasana we can distinguish two kinds of Buddhisms living side by side: The first is adept Buddhism, a complete and authentic understanding and practice aimed at the singular attainment of Awakening. This is what the noble ones understand and live, and the rest of the monastic sangha along with many very committed laypeople tries to master. Adept Buddhism is by nature orthodox, sophisticated and challenging to, and radical in, any culture. The second is folk Buddhism, which includes any popular understanding and practice of Budhism. These understandings and practices may be simplified, compromised, misunderstood or adapted to the prevailing folk culture or other human dispositions, but may also overlap with adept practices and understandings. Folk Buddhists may expect peace, happiness or mental health in this life, or good fortune in the next. They may engage in generosity, devotional practices, chanting, service to the sasana or single-minded meditation. They may seek blessings or the favor of supernatural beings and forces. They may believe in a cosmic buddha and a pantheon of protective bodhisattvas. Their understandings and practices may blend non-Buddhist elements, from folk religions and beliefs to modern psychotherapy. Folk Buddhism is by nature liberal and this liberality allows the sasana to integrate into a broader folk society by softening the radical message of adept Buddhism. Although the sasana offers this big umbrella. the varieties of folk practices and understandings that fit under it in a healthy sasana are nevertheless bounded. Folk Buddhism is generally under the sway of adept Buddhism. Refuge in the Buddha, the Dharma and the Sangha entails trust in these three as ever-present sources of improved understanding and training to which one turns as authorities when needed and accepts their admonitions when offered, just as most of us accept the advice of scholars and their writings as more expert than ourselves. At a minimum any folk practice or understanding of wide circulation is likely to be consistent with adept Buddhism; we don’t generally find things like animal sacrifice, for instance, in folk Buddhism, nor loss of a refuge, nor loss of the recognition of awakening as the highest aspiration. But, even while under the sway of adept Buddhism, folk Buddhism is also highly susceptible to the influence of the prevailing folk culture. I find it helpful to visualize the demographics of the sasana as taking the form of a comet, all of us oriented in the same direction but with some clustered closer to the head and others trailing out along in the tail in different directions. Distance from the head represents the relative proportion of adept and folk cultural influences on understanding and practice, and direction from the head represents choice among the array of practices and understandings found in folk Buddhism. 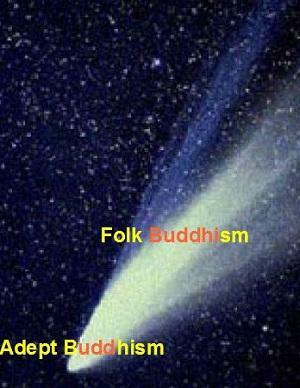 The comet captures also that the difference between the “two” Buddhisms is actually one of degree. As I was saying, it seems that we in the West are stuck with two alternatives, or some blend of them: a traditional Buddhism, narrow and austere, but authentic, and a modern Buddhism, wide and welcoming, but adulterated. The choice seems to be between a time-honored Buddhism on the cushion and a dubious Buddhism in the world. Which way do we go? If we step back, we find that the sasana perspective is much more open than any of this. Choosing one of the alternatives is not so problematic as it sounds, for both proposals fit comfortably under the Buddhist umbrella. Each is a form of folk Buddhism, is reasonably consistent, as far as I can see, with adept Buddhism, and is therefore also potentially welcome in a healthy sasana. Each can be safely encouraged as wholesome and beneficial for one’s spiritual well-being, even while each positions itself differently with respect to the other. However, it should be acknowledged that each is also no more than a form of folk Buddhism, in itself incomplete as for producing the singular attainment of awakening toward which adept Buddhism is directed. The Cushion. For the typical member of the Western traditionalist wing, Buddhism is meditation, which is to say, vipassana, zazen, tonglen, or whatever, depending on tradition. The authenticity of each of these in the path function of mental development is not the question here, but rather its priority over all other path or sasana factors in this faction of Western folk Buddhism. Although at least lip service is generally paid to these other factors, meditation and related mindfulness practices tend to be pursued with a single-minded dedication that is consistent but woefully incomplete as a path to awakening by adept standards. Development of generosity, development of virtue, contemplation of the heavens (i.e., understanding karma), investigation of the drawbacks, degradation and corruption of sensual passions, understanding the rewards of renunciation. Understanding and practicing the Four Noble Truths. Wisdom section: Right View, Right Resolve; Virtue section: Right Speech, Right Action, Right Livelihood; Meditation Section: Right Effort, Right Mindfulness, Right Samadhi. Notice that if there were a healthy sasana in the West the prerequisites would be at least partially supported, simply through participation in that sasana. Generosity is the lifeblood of the sasana. Virtue, the understanding of the drawbacks of passions and the rewards of renunciation are exemplified in the lives of the noble ones one encounters. The heavens (or karma) are generally the dominant narrative of a Buddhist community. Moreover, notice that meditation comprises only the last three of the factors of the Eightfold Noble Path, for the Buddha also makes it clear that the first seven factors are preconditions for the eighth, and each of these generally requires many years (or lifetimes) of sustained repetition and rehearsal. Elsewhere (AN 5.254, 257) the Buddha declares that stream entry is impossible for the stingy. This does not mean that single-minded emphasis on meditation is misguided, only that it is not a full path to awakening unless progress in all of these other factors happens to have been acquired through some other means. In fact, popular meditation movements of this nature have occurred before in Asia. For instance, a movement of this kind was associated with the Lin-Chi (Rinzai) Ch’an (Zen) monk Ta Hui Tsung Kao (1089-1163), who promoted a method for his lay students that we now call koan introspection, most typically known in association with the koan Mu. The Western vipassana movement began as a mass meditation movement in Burma in the early twentieth century, making Burma perhaps the meditatingest country in the world, now more than ever. More common than folk meditation movements in Asia are single-minded devotional practices associated with the sasana function of refuge. Also beneficial, these can have often become quite embellished historically, ranging from the stupa (and ultimately pagoda) cult, chanting or copying scriptures, or even the names of scriptures and lavishing unneeded offerings on itinerant ascetic monks of great accomplishment. Unfortunately, Westerners are at a distinct disadvantage compared to their Asian counterparts in pursuing meditation single-mindedly. The Burmese who takes up vipassana practice will have at least partially satisfied the prerequisite practices through a lifetime of immersion in sasana. In addition, East Asians will have significantly satisfied the path practices in the virtue section through a lifetime of immersion in a Confucian culture that regulates every aspect of her interpersonal relations. Such influences are generally absent in the Western context. For those of limited time and energy there will in any case have to be a trade-off between the depth and the breadth of practice. Single-minded practices sacrifice breadth for depth and thereby in the end limit depth as well. One of the functions of the monastic order, a seldom considered opportunity in the West, is to offer anyone of high aspiration the otherwise elusive leisure to sustain both breadth and depth at the same time. Yet, there is a special allure in the context of Western folk culture for the single-minded practice of meditation. 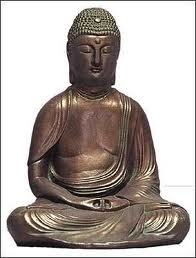 Meditation is recognizablly orthodox;.Western yogas have already meditated for years and the Buddha almost always clearly sits in meditation posture. Meditation is the most reliable source of peak or mystical experiences; we seem to be obsessed with experience, as the marketing industry knows well. Meditation has some solid science behind it, verifying certain beneficial qualities, physical as well as psychological. Meditation fits into time-honored consumer habits of layering one thing upon another – gym membership, opera tickets, massage, … – onto an already busy life without having to reconsider or reorder anything else in that life. Meditation is a solitary practice suited to the spiritual but not religious. Perhaps these are the reasons Western Buddhists have so much energy for meditation practice. The World. There was bound to be a backlash to the traditionalist Western practice on the cushion. It is narrow, it is not easy or quick, nor is it warm and fuzzy. It does not satisfy communal needs, nor invite family participation. A relentless quest for awakening on the cushion does not integrate in any obvious way with life in the world, with its jobs, relations, families, civic responsibilities, stresses, anxieties, purchases, parties and pursuit of pleasure, except through the blanket admonition to do all of this mindfully. And so there is a natural demand for a “wider stream,” a practice in the world aspiring instead toward “embodied enlightenment.” This wider stream is achieved typically by working outward from the narrow traditionalist core and to accrete innovations as needed. These seem based for the most part in Western traditions more than on Asian, but psychotherapy has been a particularly prominent influence perhaps because Buddhist understandings of mind at the same time influence psychotherapy. Notice that if the context of our practice were a traditional and healthy Buddha-sasana, the concerns that motivate modernizing Buddhism in these ways would be far less acute. We would already live in a supportive community with a sense of appreciation and devotion, under the subtle influence of sages as living examples of the rational and wholesome life, before we even began to think consciously about higher practices on the path. We would already have all the warmth and fuzz we could handle in a culture of awakening. Nevertheless, we would still live in a modern world, with its modern demands and stresses, and in a modern culture quite distinct from any traditional Asian culture, with its own values and understandings. A degree of popular demand for adaption would therefore arise even within the context of a traditional and healthy sasana. It is the role of folk Buddhism to absorb popular demands for adaptation. We will and must develop a Western folk Buddhism in the West, one that finds a compromise between essential Buddhist values and the cultural predilections of the modern West. It is also the role of folk Buddhism, to soften the sharp edges of adept Buddhism, since it is so radical and against the stream even in Buddhist cultures, and make it intelligible to the broader folk culture. We will and must develop our own folk Buddhism also because it generally does little good to import an Asian folk Buddhism the way we import adept Buddhism. Someone else’s folk Buddhism will be adapted to someone else’s culture. 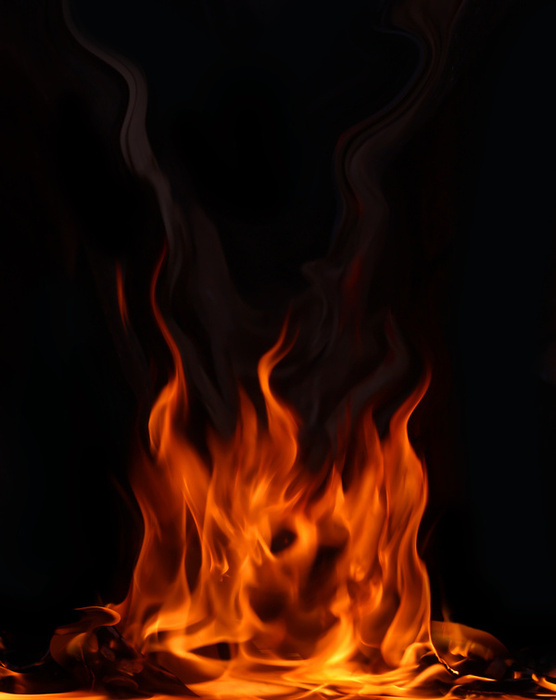 This means we will not burn money for our dead ancestors, nor appease irritable forest sprites in our folk Buddhism. Nor will we have to accept the gender inequality common in much of Buddhist Asia. We are off the hook. Rather, our folk Buddhism is free to develop, for better or worse, under the influence of the European Romanticism, the Protestant Christianity, the scientific rationalism, the psychotherapy, the humanism and the consumerism endemic in our culture. The danger of innovation is that it become uncontrolled and result in something markedly non-Buddhist or even anti-Buddhist, for instance, that Buddhism will go the way of fast food, pill popping and televangelism. How can a radical Buddhism, one that teaches the way of renunciation and restraint, and challenges the most fundamental assumptions of the folk culture, avoid becoming commodified, mixed and matched and accommodated into something that has little in common with the Buddhist understanding and practice of the adepts? If we had a healthy sasana the many shapes of folk Buddhism would be constrained through a pervasive bias in favor of adept Buddhism. Folks would tend to move toward the head of the comet, because they would take refuge in the Buddha, the Dhamma and the Sangha, its primary representatives, and because we would fall under the influence of the noble ones walking among us. The Sasana. Sasana is the third choice, for in the healthy traditional sasana, disagreement between cushion or world – traditionalism or modernism – vanishes, along with the significance of many other apparent dichotomies, such as Western and Eastern Buddhisms. They all fit as folk practices and understandings under the firm and broad umbrella of sasana, where they fall under the corrective sway of adept Buddhism. For this reason we should all be eager to establish a healthy sasana in the West according to the Buddha’s model. First, we do have adepts in the West. These are probably most commonly found among people with traditional training of some kind in addition to meditation retreat experience: ordained priests in the Japanese or Korean Zen traditions (typically having some training in a monastic setting), certified lay lamas in the Tibetan tradition (many of whom have lived in a cave for three years), ex-monastics (primarily trained in the Theravada countries of Asia), and Buddhist scholars who also practice Buddhism. Moreover, Buddhist texts are abundant and readily accessible to the less-than-adept Western Buddhist community, who as a whole also enjoys unprecedented levels of education and a willingness to read Buddhists texts. (High education level is a demographic peculiarity that will, unfortunately, certainly be lost as Buddhism grows.) Meditation is strong. The traditional monastic order is still very limited, and also more integrated into the Asian sasana than into the Western. The age of mass communication has nonetheless expanded the range of adept influence, producing a kind of a celebrity Sangha with eminent members like Ven. Pema Chodron. and Western-friendly Asians like the Dalai Lama and Thich Nhat Hanh. Nonetheless, the influence of these adepts is limited in the West. What adepts there are, are not generally recognized nor venerated as such, and they therefore have limited sway over the folk community. Although Westerners are familiar with the Triple Gem, it is rarely understood that Sangha is intended to signify the adept community, not the folk community. It is common for Westerners to dismiss, under our peculiar cultural influences, any kind of external authority altogether in favor of the guidance of some imagined but infallible “inner voice.” Moreover, many who would like to place themselves in the sway of an adept teacher are confused by the conflicting standards concerning teacher qualifications, by the only rough conformity among the views and methods of the teachers trained in diverse Asian traditions, and by the strong admixture of charismatic but totally self-qualified lay teachers, popular bloggers and even self-certified arahants. In summary, without a strong and healthy sasana in the West, the disagreement between Buddhism on the cushion and Buddhism in the world will persist. Traditionalists will continue to cling to single-minded meditation and view it as a complete and time-honored path to full awakening. Modernists will be unhindered in embracing an ever widening stream that will become coopted, commercialized and eventually banal and self-absorbed, to satisfy popular demands for adaptation. With a strong and healthy sasana, we can have both the cushion and the world, as it will provide a firm and broad umbrella under which a wide variety of practices and understandings will fit comfortably and remain comfortably under the sway of adept Buddhism. Two distinctive qualities of the traditional Buddha-Sasana are its resilience and its malleability, qualities that once made Buddhism the first world religion able to leap cultural boundaries without coercion. It is these qualities that must be replicated in the Western context through a strong and healthy sasana. Cintita Dinsmore, Bhikkhu, 2013, Sasana: the blossoming of the Dharma, download from bhikkhucintita.wordpress.com. Gleig , Ann, 2013, “From Theravada to Tantra: the making of an American Tantric Buddhism?,” Contemporary Buddhism, Vol. 14, No. 2, 221–238 . 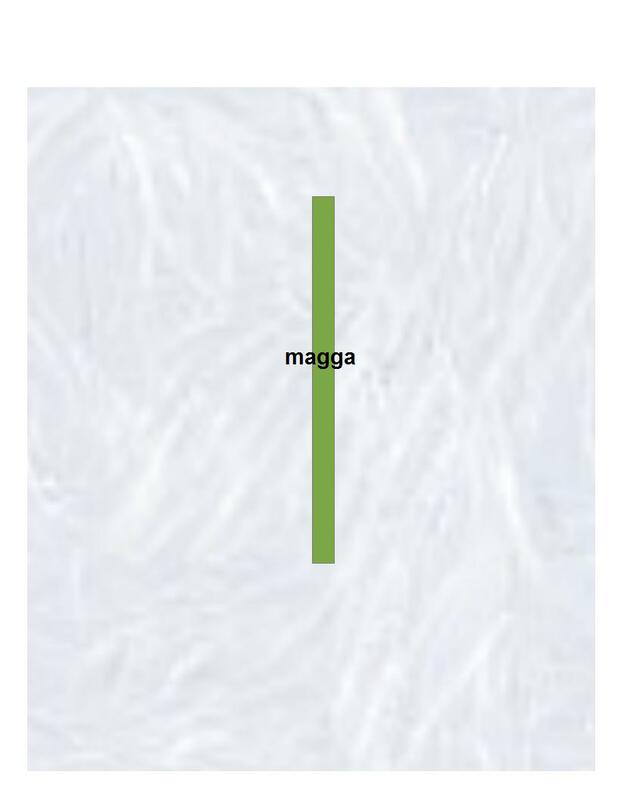 McMahan, David, 2008, The Making of Buddhist Modernism, Oxford University Press. Stephen Prothero, 2001, “Boomer Buddhism,” Salon.com, Feb 26, 2001. Thanissaro Bhikkhu, 2002, “Romancing the Buddha,” Tricycle Magazine, Winter 2002. Last week I outlined a gradual course of practice beginning with the Refuges and generosity and ending with samadhi, a course that gives a much broader and well-rounded perspective on practice than we are generally used to in the west, but most of which is much more familiar in Asia, and in any case comes directly from the horse’s mouth. After my post appeared an astute parent recognized the implications this course might have for Buddhist education for children and emailed asking if I might post something about teaching Buddhism to children. I would like to begin this topic herewith. First I should mention an unsettling aspect of most of Western Buddhism: We don’t know how to involve our kids! Western centers are notoriously child-unfriendly. This should be astonishing because Buddhism over the last 100 generations has always involved children, ever since Rahula, the Buddha’s son, became a novice monk at age 7. How hard can it be to get a handle on this? Sometimes it is a matter of attitude. I have heard some Buddhist parents say that their intention is to let their kids grow up so that then they can make up their own minds whether to become Buddhists or not. Personally this viewpoint puzzles me; it seems presuppose that we are each endowed with a degree of rationality and free-thinking that can be preserved in a pristine state through childhood and then let loose on the world. A free thought is in fact a rare thing; I am not sure I’ve had one for weeks. The success of the marketing industry makes clear how impressionable each of us is, suckers and chumps from toddlerhood for the most irrational of influences. The best any father or mother could wish for her or his child is that he or she be exposed to the healthiest, most wholesome influences possible, those that are maximally conducive to the development of personal happiness, of kindness and compassion toward others, and of wisdom all around. We as initially non-Buddhist adults are generally drawn to Buddhism because we recognize that it has exactly these qualities, and then we find we must persevere against our own upbringings to realize these qualities in ourselves. Our children are already such easy marks for the many offensive influences running through our society that there is a certain urgency about making the values, world view and wisdom of the Buddha an integral part of their upbringing. I think this puzzling aspect of Western Buddhism arises from a far too narrow focus in our practice and understanding of Buddhism. This narrow focus not only shuts our children out of participation but inhibits our own development as well-rounded Buddhists as well. The realization of this is my reason for writing the series/ebooklet on “Buddhist Religiosity,” to try to instill a richer, more complete and holistic sense of what Buddhism is … without sacrificing a smidgen of rationality, free thinking or wisdom in the process. As I have described in this series, well rounded Buddhism is like a flower, while much of Western Buddhism is like the stem of a flower, or maybe just the upper third of the stem. The stem, the Path proper, culminating in meditation practice, is the most intense practice and tends not to be a draw for children. The rest is fun and more interpersonal, and provides a strong support for the more intense practice also for adults. Refuge in the Triple Gem. The heavens, that is, an understanding of the transcendent dimension of our life and practice. The drawbacks, degradation and corruption of sensual passions, that is, an understanding of the downside of samsara, the soap-operatic quality of conventional life. Right Effort, Right Mindfulness,Right Samadhi. Next week I will write about children might develop awe for the awesome, for the Triple Gem, the Buddha, the Dhamma and the Sangha. I hope as we go through these points that parents post comments with their own ideas and experiences or confusion in working with these areas. I hope to focus on practical tips. Refuge in the Triple Gem. This is the establishment of trust in the Buddhist way. The biggest problem in the West is the almost total absence of a technical Sangha in the West (the third gem). There are highly qualified teachers, but no uniformity of qualifications and many self-authorized teachers and popular bloggers in the mix with no agreement about who might stand in for Sangha … so we all do. The expressions of refuge are devotional but can be quite simple. Bowing should be learned as a fundamental practice the cultivates (and requires) humility. Develop generosity, virtue. 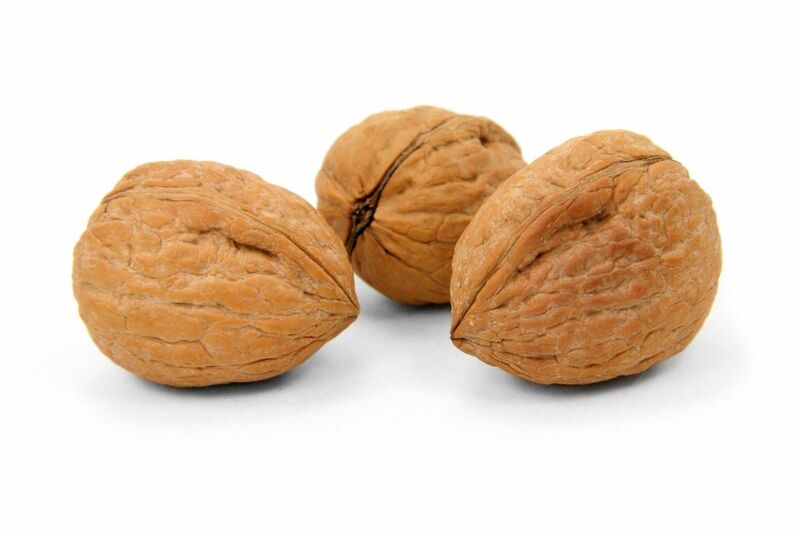 Traditionally these are at first learned in community. The characteristically Buddhist “economy of gifts” is traditional inspired by a dependent Sangha who also offer the Dharma for free. Western communities do well to approximate these conditions. The heavens. This can be understood metaphorically as standing for the accrued benefits of practice. This can already be experienced through the practices of generosity and virtue and the idea of merit should be pointed out repeatedly from the beginnings of Buddhist education. “Heavens” should also be understood to include a realization of the transcendent dimension of our practice, that it has important implications beyond this fathom-length body and few decades of existence. The drawbacks, degradation and corruption of sensual passions. You would think people could learn these from watching enough soap operas, but we do not seem to. How we get ourselves so easily into trouble should be pointed out repeatedly from the beginnings of Buddhist education. The rewards of renunciation. Renunciation can be experienced as the most meritorious part of generosity The importance of renunciation should be taught from the beginnings of Buddhist education, because it is not obvious to people. The Sangha if present should stand as examples of renunciation and its rewards for the broader community. Practices of simplicity should be encouraged, including “voluntary simplicity” for adults; people should experience a sense of relief from letting go of things. Because consumerism is so deeply instilled through the Western media, the amount of commercial media consumption should be mimimized. The Sutta then states that when the mind is “ready, malleable, free from hindrances, elated and bright,” the following should be taken up. Most of the steps up to here can be assimilated in community without much instruction and are suitable for children as well as adults. From this point instruction and training are required from qualified teachers (traditionally Sangha). The Four Noble Truths. With a body of experience in generosity, virtue and renunciation and the beginnings of an investigation of the dangers of clinging, the Four Noble Truths can be understood experientially. The Fourth Noble Truth is the Eightfold Noble Path, the Path proper, which contain the remaining points. Right View. Aside from the Four Noble Truths the core teachings of the Buddha should lead to further investigation of experience. The Three Marks, Dependent Coarising, Karma, etc. Right Resolve. Aspirations to practice kindness, compassion and renunciation should become firm. Right Speech, Right Action, Right Livelihood. These steps deepen generosity and virtue. They should be understood and practiced from the perspectives of precepts, being of benefit to others and cultivating positive states of mind. Right Effort, Right Mindfulness,Right Samadhi. The cultivation of mind,virtue and investigation of the previous steps should be supercharged with the methods that turn the mind into a precise instrument of insight, serenity and virtue. In most Western practice almost all effort is centered here, leaving it unclear what it is that is being supercharged. 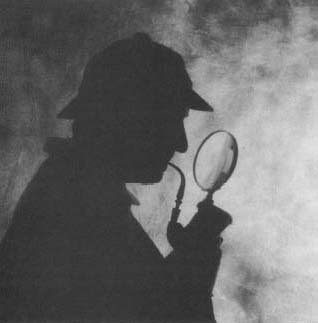 I am hoping that there is a prospective sleuth or a professional gumshoe among my readership who can illuminate the Case of the Missing Hour. Not that I expect to get the hour back (I would probably just spend it writing on this blog in any case). 4:30. Alarm, I lazily click it off. I lie in bad, stretch a bit. It is a little chilly in my cabin beyond the blankets. 4:41. Finally I get out of bed. I make coffee and study conjunctions in A.K. Warder’s Introduction to Pali for about 40 minutes, during which I finish the coffee. I do a little stretching put on my hat and leave for the Dhamma Hall. It is dark as always and I use my flashlight. ~5:25. Arrive at Dhamma Hall. I expect Mahendra, a visiting retreatant from India via Boston, to join me but he is not there. I unlock the door, do bows, get settled on my cushions, set a timer to count down from 1 hour. I will sit for 50 minutes. Well before the end of the period I hear someone enter the room behind me. 6:20. I ring the bell to end the sitting period. Suddenly Dr. Than Tut, another visiting retreatant, is next to me and reports that I am late for breakfast but he had not wanted to interrupt my meditation. I begin to explain to him that it is only 6:20, that breakfast does not start (for the monks) until 6:30, but as I turn to speak to him I notice that the sun is streaming through the windows whereas at 6:30 the previous day there was only the very slightest glimmer of sunrise in the sky. Disoriented, I abort my explanation. By the time I arrive at breakfast it is in fact 7:30 not 6:30! The abbot finished eating and left long ago. Maung Wah, the cat, has also eaten but is still hanging around and is delighted to see me finally arrive. Sayaw Lay, our nun, has kept food on the table for me while Dr. Than Tut went to find me. Where did the hour disappear to? I explain what had happened and Saya Lay concludes that I was in very deep samadhi indeed and inadvertently sat for almost two hours. She and the doctor, looking a bit wide-eyed and awe-struck at the depth of such samadhi, both instinctively bring their hands into anjali as she interprets the incident and concludes with, “Sadhu sadhu sadhu.” I try to explain that I don’t think that was what had happened but they will not listen. A time warp or an unanticipated time zone change occurred somewhere between my cabin and the Dhamma Hall. I became so immersed in Pali conjunctions and coffee that the time just flew by. I in fact fell asleep once again after shutting my alarm clock, for almost exactly one hour, even though I have no recollection of having done so at all, nor of waking back up. It is a far far nobler thing for an hour to be swallowed into samadhi than into slumber, but we must consider all possibilities. After breakfast I ascertained that the alarm was indeed set for 4:30 and that both of my clocks were showing the correct time. My cell phone showed that the abbot had tried to call me well before 7 am, no doubt worried about his missing monk. By way of investigation I have no one to interview, since I saw no one that early morning. I talk to Mahendra and sure enough discovered he did not see me at all that morning in spite of his claim to have come to 5:30 meditation, to have found the door to the Dhamma Hall locked and to have gone back to his room to meditate. With this posting I conclude this longer than originally anticipated weekly series on meditation. In episode #1 I expressed concern for the bewilderment, doubt and contention resulting from the daunting plethora meditation methods, along with differing reported experiences and lack of uniformity of vocabulary used to talk about meditation. Although I have discussed only a few of the methods I hope to have provided a basis for sorting these out so that potential gaps or special features of any particular method can be recognized and communication can be normalized. Mostly I hope this is reassuring to the general practitioner that the method they are following is probably A-OK even if it has undergone a long historical evolution from the Buddha’s original teachings on meditation. This is because of the self-corrective nature of meditation techniques when they are applied and transmitted by sincere practicing yogis over many years. The first several posts Buddha’s meditation, the natural standard for comparing and evaluating meditation techniques. My view, not shared by all, is that we have a very clear basis for understanding what the Buddha’s meditation was. First, we have the scriptural sources in the Suttas and the Agamas, which though not perfectly are pretty darn reliable. Second, we can piece together from these sources something that makes functional sense. In fact a coherent and comprehensive system emerges that is fully an expression of the remarkable genius of the Buddha that serves to gather and focus the rays of the entirety of Buddhist practice, in its conceptual, ethical and affective dimensions, and turn them ineluctably toward Nirvana. Third, we have the direct experience of living breathing yogis to verify the efficacy of the many individual aspects of this system. The fourth support for our understanding of what the Buddha taught I did not mention at the beginning of this series because it would not have made much sense at that time. This is to use a plausible historical account of the variants to affirm the correctness what we think the original is. For instance, in my exposition I described the Buddha’s method then tracing its historical evolution from that point I could account for the Zen variant as a simple adaptation of the Buddha’s meditation to Chinese cultural influences. And I could at the same time account for modern Vipassana in terms of an historical intrusion of a non-Buddhist technique. The simplicity of such accounts serves to affirm that the original description of Buddha’s method was correct. I acknowledge that I have not developed any one of these four supports in as rigorous or insightful a way as some scholar-practitioners would be able to do, but I propose that even in my shaky hands the convergence of these supports in a single description of Buddha’s meditation means that we have at hand a very clear understanding indeed of the Buddha’s original system. Buddha’s meditation that arises has Centered Samadhi at its core. This samadhi arises from the combined application of Right Effort and Right Mindfulness, which jointly restrain the mind enough to induce the experience of samadhi. Right Effort also serves to weave the strand of Virtue into meditation. Right Mindfulness also serves to weave the strand of Wisdom. Wisdom and Virtue will have been developed as prerequisites through exposure to the Dhamma and through following Precepts, practicing generosity and so on, primarily at the level of reason and action in accordance with the first five steps in the Noble Eightfold Path. In samadhi virtue and wisdom, initially developed at a coarse level. are developed at a much more subtle level. This is where the qualities of samatha and vipassana come forth, and investigation continues in the furnace in which wisdom and virtue are melded, and the mind is able to attain its greatest purity, defilements are pacified and insight is achieved. Right Samadhi is a resultant quality of mind, serene and keenly aware, that is, relaxed, calm, open, sensitive to, but unperturbed by, whatever arises. It is not fixed concentration or absorption in the meditation object, which could not sustain all of these functions. Whatever meditation method you use does not have to look like Buddha’s meditation in its details. 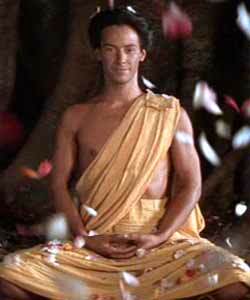 I propose that meditation is like language or like living organisms: They can evolve, yet retain their functionality. I hope to have demonstrated this in the cases of Zen meditation and Vipassana. The reason is that direct experience of living breathing yogis tends to correct whatever in the method may have been misunderstood or incorrectly transmitted. Nonetheless, Buddha’s meditation can usefully serve to assess whatever meditation method you use. Does it have this logical structure? Is something missing? Is something extra? This may entail some investigation, since if something appears to be missing it may be made up for in some other way, and if something seems to be extra, it may still serve a useful purpose. For instance, one method may investigate impermanence, another emptiness. One method may make some use of fixed concentration to prepare the mind for centered concentration. This is OK.
At this critical juncture as Buddhism is being transmitted to the West this assessment is particularly pertinent because there is much opportunity for misinterpretation and mistransmission, often helped along by poorly qualified teachers, or qualified Asian teachers who do not understand the presuppositions of the culture they are transmitting from nor the peculiarities of the culture they are transmitting to. The student who is not cognizant of the role of meditation in the broader Buddhist Path might not have a sufficient basis for detecting errors in her own experience for many years. The Twentieth Century and perhaps late Nineteenth Century saw the arising of a new plethora of meditation techniques in the Theravada world, most notably the methods of “Vipassana Meditation” that developed in Burma. These generally take the Visuddhimagga (which we discussed last week) as a primary influence, and particularly make use of the terminology of the Visuddhimagga, but whereas the Visuddhimagga presents two methods, Samatha and Vipassana meditation, the Vipassana schools highlight Vipassana (hence their name). The most influential method in many Theravada countries and in America is that developed in Burma by Ven. 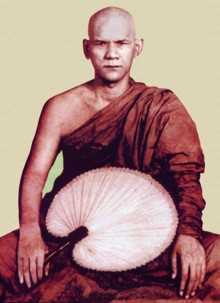 Mahasi Sayadaw. I would like to focus specifically on this method today but only enough to compare it to Buddha’s meditation. Prerequisites of Mahasi School Medititation. Wisdom and Virtue. As for Buddha’s meditation, and in the Visuddhimagga. Everyday Mindfulness. The basic method of noting, described below is recommended for all the yogi’s waking hours. Methods of Mahasi School Meditation. Removal of the hindrances. As in Buddha’s meditation. Undistracted reflection on themes conducive to insight. Some vipassana methods use samatha practice to settle the mind to a certain point before undertaking vipassana per se. The Mahasi method is purely vipassana, that is, it does not make use of any preparatory samatha practice or fixed concentration. The Mahasi method is a practice of noting which entails moment to moment awareness of impermanence. Noting here means mentally naming what has just arisen, “lifting, swallowing, listening, thinking, touching, intending.” Noting itself is an innovation not found as a continuous practice in Buddha’s meditation, but is much in his spirit of clear comprehension of whatever arises. The Mahasi method, like Visuddhimagga, uses five aggregates of grasping (form, feeling, perception, formations and consciousness) as themes of meditation, and optionally makes use of following the breath as part of contemplation of body, with recommended focus on the feeling of the breath in the abdomen. For each theme of contemplation the qualities of impermanence, suffering and non-self are to be observed. The method differs only in details from the Buddha’s meditation. The Experience of Mahasi School Meditation. In Buddha’s meditation, samadhi (S-samadhi, Sutta-samadhi or S-jhana) is a primary experience of meditation. In the Visuddhimagga this experience is called “momentary concentration,” about which little is said. However, since the method in either case is close to the Buddha’s method we would expect the emergent experience to be similar. Concentration is centered, not fixed. 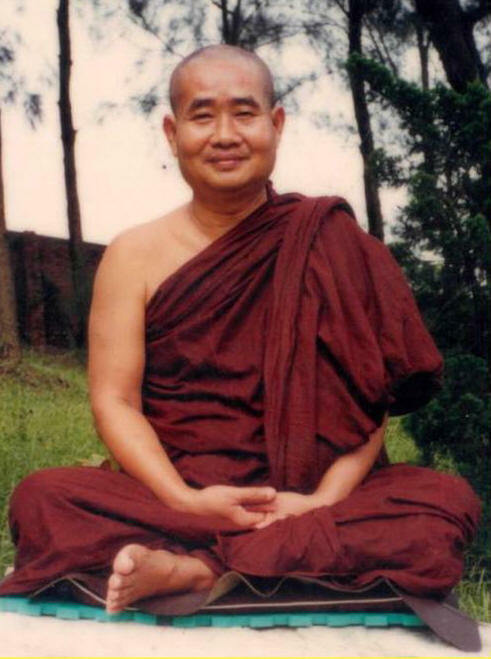 Mahasi Sayadaw describes the concentration (samadhi) that occurs during vipassana meditation in terms of the observing consciousness not wandering away from the task of noting whatever arises. This momentary concentration deepens as follows. … there arises tranquility of mind and along with it appears mental agility, etc. … body and mind are agile in functioning swiftly, they are pliant in being able to attend to any object desired for any length of time desired. … Insight penetrates objects with ease. Vipassana jhana allows the mind to move freely from object to object, staying focused on the characteristics of impermanence, suffering and absence of self that are common in all objects. … Rather than the tranquility and absorption which are the goal of samatha jhana practitioners, the most important results of vipassana jhana are insight and wisdom. Pandita Sayadaw in fact analyzes vipassana jhana in precise Sutta terms, correlating this concentration with the specific factors and jhana stages described in the Suttas. Actually, we can anticipate this correlation since the method that gives rise to vipassana jhanas is close to the Buddha’s method that gives rise to S-jhanas. Investigation continues in samadhi. VM-vipassana includes S-mindfulness and S-vipassana, all of which involve investigation. Vipassana jhanas arise from these and there is no indication that this samadhi shuts down investigation; investigation continues with a more subtle mind (which is S-vipassana). This is fully in accord with Buddha’s description of jhana. The main conclusions in looking at Mahasi’s method are that it is largely equivalent to the Buddha’s method and results in the same kind of experience. 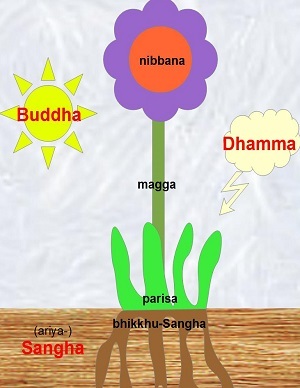 The differences are largely terminological, but even this is corrected with the term vipassana jhana, related to the Buddha’s and Visuddhimagga’s terms as follows. Vipassana jhana (= VM-momentary concentration) is S-jhana (= S-samadhi). That is, vipassana jhana is the jhana or samadhi the Buddha had been talking about all along! Although samatha jhana doubtless arises in fixed concentration, and I speculate that it was something the Buddha was intimately familiar with from his early training, there is no indication at all that the Buddha was interested in teaching samatha jhana. The Visuddhimagga does not contradict the Buddha’s method once the terminological correspondences are understood. However it does fail grievously to highlight and extoll the relevant sense of jhana or samadhi the way the Buddha does, in fact it marginalizes it. Although jhana is an emergent experience that arises through the method, highlighting it as something we return to over and over, as a place we dwell, does inspire us to think about practice in a particular way. Keep in mind that samadhi, equated with jhana, is one of the eight folds of the Noble Path. Recall also the many ways the Buddha extolls jhana/samadhi. (and clearly not samatha). When right samadhi does not exist, for one failing right samadhi, the proximate cause is destroyed for knowledge and vision of things as they really are. – A.V.4.9-11. A monk who develops and makes much of the four jhanas slopes, flows and inclines toward Nibbana. You will probably find that if you substitute “momentary concentration” or “vipassana jhana” for each reference to “samadhi” or “jhana” above, the result is completely comprehensible, but nonetheless lacks sparkle and weight. Last week I began discussing the Visuddhimagga, a massive meditation manual compiled almost a thousand years after the Buddha (and 1500 years before us), that itself claims to accurately represent the Buddha’s intention in the Suttas. The Visuddhimagga, though seldom followed exactly in the modern Theravada tradition, has had a great influence on it, and particularly, I hope to show, in creating the terminology used to talk about meditation. As mentioned last week, Visuddhimagga provides two rather distinct methods of meditation, serenity (samatha) and insight (vipassana), where the Buddha presents a single method, albeit with a number of parts. Last week I used our handy template to compare samatha meditation to the Buddha’s meditation, and we found very limited correspondence. In particular the Visuddhimagga‘s application of fixed concentration seems to have no counterpart in the Buddha’s meditation. This week I undertake to compare vipassana meditation as presented in the Visuddhimagga using the same handy template with the Buddha’s meditation. Here the correspondence will turn out to be very close. Prerequisites of Visuddhimagga Vipassana Medititation. The Visuddhimaga sees practice in stages, in which one stage feeds into the next. Vipassana meditation follows samatha meditation and therefore at least the same prerequisites are statisfied that I described last week, particularly the prerequisite virtue is described in great detail. Before Vipassana occurs also the intellectual understanding of wisdom. So both wisdom and virtue are woven into vipassana meditation, as in the Buddha’s meditation. However samatha meditation, and with it VM-jhana, is itself is now an optional prerequisite for VM-vipassana. The serenity vehicle guy (samatha-yankika) is instructed to leave VM-jhana in order to pursue VM-vipassana meditation, thus keeping both methods distinct. VM-jhana is thereby only indirectly applicable to VM-vipassana meditation but is said to support it. However, peculiarity of samatha as a (optional) prerequisite to vipassana is that vipassana, as we will see momentarily, is generally identified with mindfulness practice and in the Buddha’s framework mindfulness precedes samadhi; consider for instance the traditional order of the Noble Eightfold Path. Also there is nothing in the Suttas about leaving jhana before practicing vipassana. Methods of Visuddhimagga Vipassana Medititation. Removal of the hindrances. These are much as in Buddha’s meditation. Undistracted reflection on themes conducive to insight. These are differently formulated, but are largely equivalent to the themes discussed in the Four Foundations of Mindfulness. These themes are organized primarily around the khandhas (skandhas or aggregates): materiality, feeling, perception, volition and consciousness, whereas the Four Foundations of Mindfulness are body (materiality), feeling, consciousness and everything else. The technique is to examine a chose theme in particuar with regard to impermanence, suffering and insubstantiality. The method of Vipassana meditation does not seem to differ much from Right Mindfulness. The Experience of Visuddhimagga Vipassana Medititation. Concentration is centered, not fixed. The Visuddhimagga refers to momentary concentration (khanika-samadhi) as a necessary component of penetration, that is of the arrival of insight. Unfortunately it says very little about momentary concentration. As its name suggests concentration fixes for at least a moment on a single thing, but otherwise is free to move about. These moments of concentration can form a continuity such that the term khanika-ekaggata, unification or centeredness of momentary concentration, is possible. The Paramathamanjusa, the Pali commentary to the Vissudhimagga, apparently makes an interesting observation, that the force of khanika-samadhi can be equivalent to full absorption in the jhanas. Investigation continues in samadhi. Yes, or at least with momentary concentration. 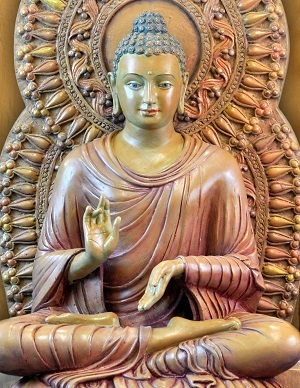 Given that momentary concentration in vipassana is the counterpart of S-jhana in the Buddha’s framework, it is surprising that Visuddhimagga gives so little attention to momentary concentration, Whereas the Buddha describes S-jhana in detail and then extols its virtues, admonishing practioners to abide in jhana, to return to it over and over, the Vissuddhamagga almost trivializes it, or its counterpart. This is not a difference in method or experience, but one in the way practice is inspired. The upshot is that VM-Vipassana meditation seems to correspond to the Buddha’s meditation closely, differing in smaller details. This conclusion should be reassuring to the many modern vipassana practioners. However, a realignment of terminology seems to have occurred in the Visuddhimagga, plus the Visuddhimagga devotes considerable, in fact most, space and effort to the description of a method (VM-samatha) that has no counterpart in Buddha’s meditation. VM-samadhi includes S-samadhi (S-jhana), but is much broader. No wonder people talk past one another when they use any of the terms samatha, vipassana, jhana or samadhi in Theravada circles, which has widely adopted Visuddhimagga terminology alongside that of the Suttas. I speculate that this shift in terminology began historically — we have no way of knowing when — with the meaning of “jhana.” The Buddha seems to have appropriated this word and given it a specific role in his framework as S-jhana, much like he appropriated “kamma” (“karma”) with a specifically Buddhist definition. But just as Buddhists in the West have to defend the word “karma” against the intrusion of a more widely known Hindu understanding, the same word, “jhana” may have been similarly challenged in the early days. My speculation is that the defense was unsuccessful at some place and time in the tradition that produced the Visuddhimagga and that “jhana” lost the meaning the Buddha had given it as centered concentration,. Once this happened “samatha” and especially “vipassana,” which were for the Buddha aspects of jhana, became free agents and broadened their meanings. However, in sustaining the Buddha’s framework in practice it was necessary to acknowledge types of concentration that were not fixed, and therefore the new terms “access concentration” and “momentary concentration” were introduced. To do Visuddhimagga justice, I should stress that the entire practice of Buddha’s meditation seems to be upheld in the Visuddhimagga framework, in fact in Vipassana meditation alone, in spite of the realignment of terminology. An important question is how useful the rest of what the Vissuddhimagga offers is, namely samatha meditation. The Visuddhimagga certainly develops samatha meditation as a highly refined and sophisticated technique. It is perhaps telling that in modern Theravada, samatha meditation is an historical innovation that has for the most part been ignored or marginalized. However in recent years samatha meditation has been successfully reintroduced into the daunting plethora of meditation techniques by Pa Auk Sayadaw in Burma and abroad and has a growing number of strong practitioner-advocates. I will not pursue usefulness of samatha meditation beyond this within this series. Next week I will talk about modern Vipassana meditation and how it accords with the Buddha’s meditation, and thus will end this series on the Buddha’s Meditation and its Variants.